In 2016, PBS Digital Studios began experimenting with Facebook as a way to distribute our content. It started as a one-off project on the PBSDS Facebook page, but the project has since expanded to different pages for different shows with Facebook’s launch of Watch. Watch showed us the investment Facebook is making in video streaming platforms and encouraged us to have a more robust presence on the platform. As of August 2018, PBS Digital Studios has an average of 10 new videos each week on Facebook. Why did we start doing this? Isn’t YouTube our bread-and-butter? It’s definitely our roots. I personally came to PBS as -- and remain -- a member of the YouTube community. Additionally, there is a lot of excitement surrounding PBS Digital Studios for Facebook. We think we will reach new audiences there, as platforms themselves have audiences. We also believe it is important to take a Multiplatform approach when it is appropriate. Most importantly, this makes our content more user-friendly and immediately helpful for stations’ social media and marketing strategies. We recognize that having just our shows on YouTube was a pain point for stations. A lot of stations have built audiences on Facebook and they have a goal of engaging with the audience they’ve already built instead of building new audiences like we do on YouTube. We hope you can find a PBSDS show you can utilize for your strategy! Here’s the list of PBS Digital Studios Shows available for crossposting on Facebook. You will need to whitelist each page individually. For whitelisting permissions or any more questions about this, please email me at ldatsis@pbs.org! Shows from PBS Member Stations! What is it? : Out of KQED’s Education Space, Above the Noise takes a look at trending topics in the news and dives into the research behind them. Above the Noise is hosted by Myles Bess. Example video: Is the World Running Out of Water? What is it? : If we were to make America from Scratch today, what would that look like? This show from TPT and host Toussaint Morrison looks at civics through this lens. Who is it for? : Young people that are interested in current events, public affairs, activism, civics and/or history. Example video: Should we elect our Supreme Court Justices? What is it? : This beautiful series from KQED Science discusses big science by going very, very small. Macro 4K footage shows animals and insects showing their habits. This is currently our most popular show on Facebook! Who is it for? : Audiences that are subtle-y weird and nerdy. Animal lovers and/film tech enthusiasts. Those with mild to moderate interests in science. What is it? : From WNET, an exploration of gender identity and sexuality, and a weekly forum for covering LGBTQ-related news and issues. With messages of tolerance and acceptance, the show aims to humanize issues that are so often underrepresented in the media or presented as political, moral or religious issues, detached from the people who are living them on a day-to-day basis. Who is it for? : Those who are curious and want a better understanding of the LGBTQ+ community, and those who struggle to find themselves represented. Example video: Climate change is really only affecting the polar bears, right? What is it? : From KCTS 9, ReInventors is a show that features scientists, inventors and tinkerers in the Pacific Northwest who are working to create a more sustainable future. ReInventors is hosted by The Stranger’s Katie Herzog. Who is it for? : Those with a mild to moderate interest in science and the environment. People and entrepreneurs who wonder how they can help the environment. More Shows Available for Crossposting! What is it? : Discover the nuances of your brain, your body, and your behavior with this show! Host Vanessa Hill explores this with a mixture of crafty animations and research on psychology and neuroscience. Who is it for? : Those with mild to moderate interests in science. This show has a great ability to dive into science behind everyday occurrences. Audiences who read light health articles surrounding the brain and psychology. Example video: Why do you get a brain freeze? What is it? : Join hosts Hank Green (Crash Course, SciShow, Vlogbrothers), Kallie Moore(Paleontologist! ), and Blake de Pastino (SciShow, National Geographic) as they take you on a journey through the history of life on Earth. We’re talking about crafting a narrative with dinosaurs, paleontology, and Deep Time. Who is it for? : Young adults who loooooved Jurassic Park as a kid. Those with moderate to relentless interest in biology and history. Example video: Are Hurricanes Getting Stronger? What is it? : Joe Hanson is here to show us how science creeps into every corner and room of our existence, with a touch of punchy animations and frequent puns. Who is it for? : Mild to moderate science nerds, curious minds, and families that learn together. Example video: Why Do We Itch? What is it? : This history show is it exactly as it sounds! What is the origin of race in the United States? Why was it illegal to be “ugly”? When did marriage become about love? Join Dr. Danielle Bainbridge as she shows that all pop cultures, identities, and technologies all emerge from thousands of intersecting histories. Who is it for? : Pop culture nerds and those with a mild to moderate interest in history. Example video: Why Do All Malls look the Same? What is it? : Reactions is a show that uncovers the chemistry all around us. How can I get my smartphone battery to last longer? What if humans could photosynthesize? How can I get my teeth to look whiter? Why is pizza so delicious? All of this can be answered with chemistry. Who is it for? : Those who like deeper answers to life’s most everyday questions. Those with mild interests in health, food, and science. Example video: Why Do Dogs Smell Each Other's Butts? What is it? 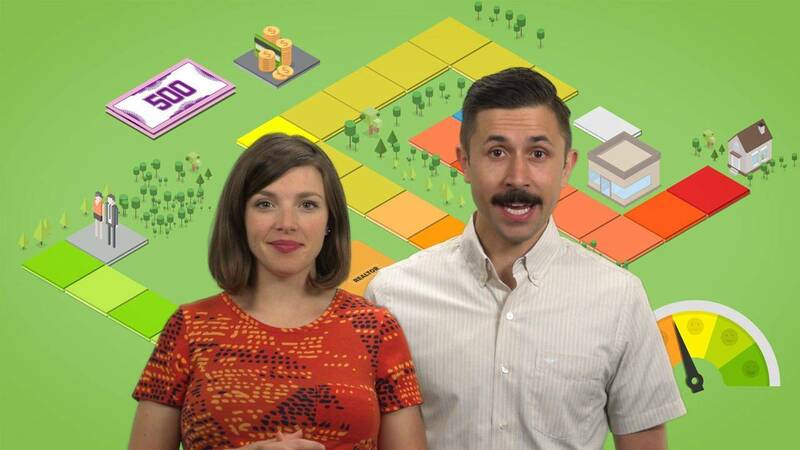 : Married couple Philip Olson and Julia Lorenz-Olson bring personal finance 101 to bite-sized episodes. How do you calculate a credit score? Should you buy a house? How can you save money while grocery shopping? No question is a bad question! Who is it for? : Millennials, Gen-Z, and post graduates that are learning about finance for the first time.